One of my favorite things about Spring and early Summer are, of course, strawberries! If you follow along on Instagram you may have seen me post last week that our strawberry plants from last year are spreading and coming back full force in our raised garden bed in the backyard! 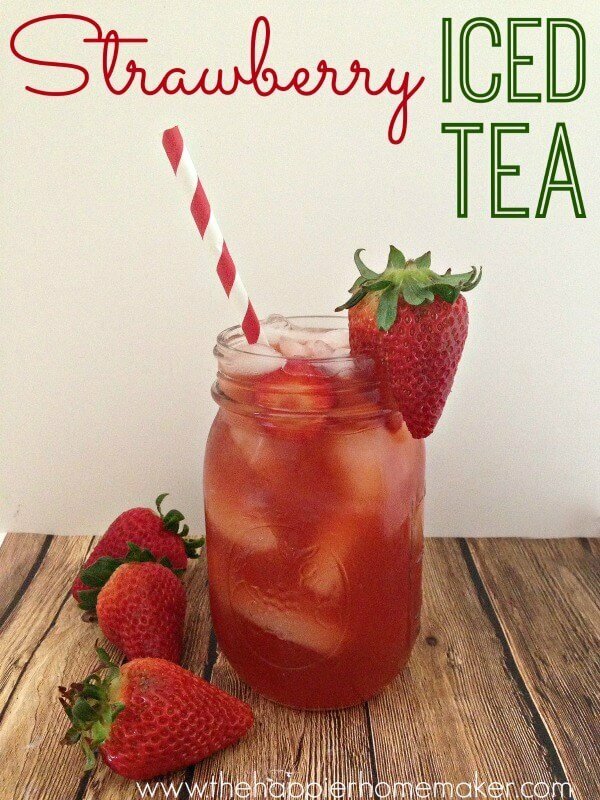 I was so excited for the berries we’ll hopefully get to enjoy before our move that I made one of my favorite recipes-strawberry iced tea! Today I’m sharing the recipe for you to enjoy too! 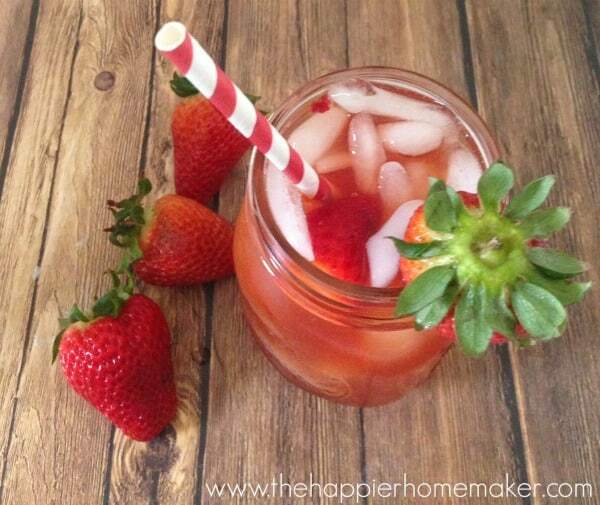 The perfect spring or summer treat, this strawberry iced tea is a crowd pleaser! Fill a glass measuring cup with two cups of water and add the tea bags. Microwave 3 minutes on high. If you choose to make sweetened tea, add the sugar to the hot water and stir until dissolved. Pulse mixture until well blended. Pour through a fine mesh strainer in a pitcher of ice and combine with hot water mixture. I hope you enjoy it as much as I do, I make mine unsweetened but it’s delicious sweetened too! You’re very welcome Dee, thanks for stopping by! This looks so refreshing. I can’t wait to try it out!! I hope you love it Amber! Nice tea recipe, I tried it this afternoon and it was very refreshing, I am a trying to learn different types of tea and how to make them. I also recommend http://teareviewsguide.com/ if you want learn a bit more about tea types. Happy Tea times !!!! Thanks Mary, I’ll check that site out!! 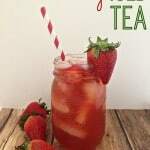 Love the flavor and pizzazz of the strawberry iced tea recipe. Love it love it love it. Melissa, aside from oranges, strawberries are a favorite fruit of mine. I NEED to try this recipe. Can’t wait. for your blog and you will hit top 3 very fast.